I feel like June/July was the skincare month because I got to try quite a few new products which I have absolutely loved. I try to be really careful with what skincare product I go for because my skin is acne/blemish prone. However, I think many products still work fine for my skin and the only things that seem to break me out are some particular kinds of food and mother nature when she is being annoying. I have been opting for products that are hydrating and radiant for summer because that's really when my skin seems to be lacking in these areas. 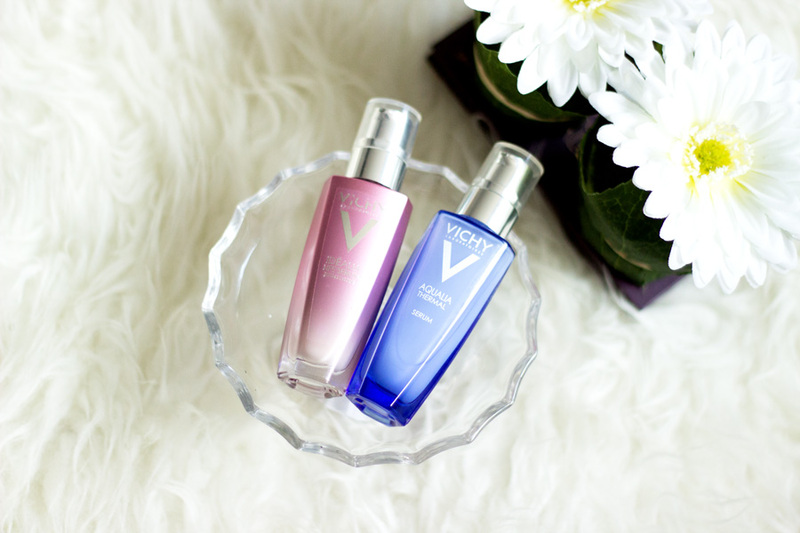 The first on the list is the lovely Vichy Aqualia Thermal Serum* (Link//Review) which has been featured here a few times. I have enjoyed the hydration this serum provides for my skin and I have not heard any bad word about it. It keeps my skin really hydrated for a longer period than some other serums I have tried in the past. The other product I have been enjoying this month is the Vichy Idealia Life Serum* (Link) and I would describe this as a serum-moisturiser hybrid. It feels slightly thicker than many serums, particularly the Vichy Aqualia Thermal Serum, but it is packed with all the benefits of a serum. I love how it keeps my skin really illuminated. I have enjoyed using it on many mornings to infuse some brightness to my dull skin. A review should be up this week. 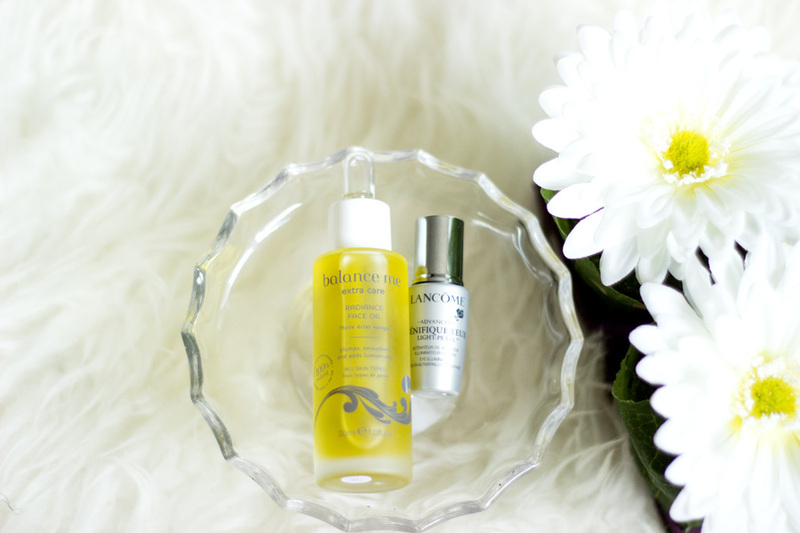 Another skincare gem I have been enjoying this month is the Balance Me Extra Care Radiance Face Oil* (Link//Review) which is not new to me as I tried a sample earlier this year. It is a 100% natural oil made up of 8 essential oils including Rosehip which is amazing for fading blemishes and scarring. Fadinf acne blemishes/scarring won't happen overnight but you can see results over a long time. I opt to use this mainly at night (during summer) because it keeps my skin really radiant in the morning. I sometimes prefer to use oils at night so they can work well while my skin is resting. Last but not least is this amazing Lancome Genefique Light Pearl Eye Serum (Link) sample which I have been enjoying all through this month. It is actually finished so I am debating if I should use my Debenhams points to purchase a full size because it is quite pricey. It is one of the few eye serums which I have seen immediate benefits and it has totally revamped my under eye so much that I don't even notice any dark circles or fine lines. I am sure they are still hiding there (esp the fine lines) but they are less visible than before. It's truly amazing and I know I have to purchase it at some point. 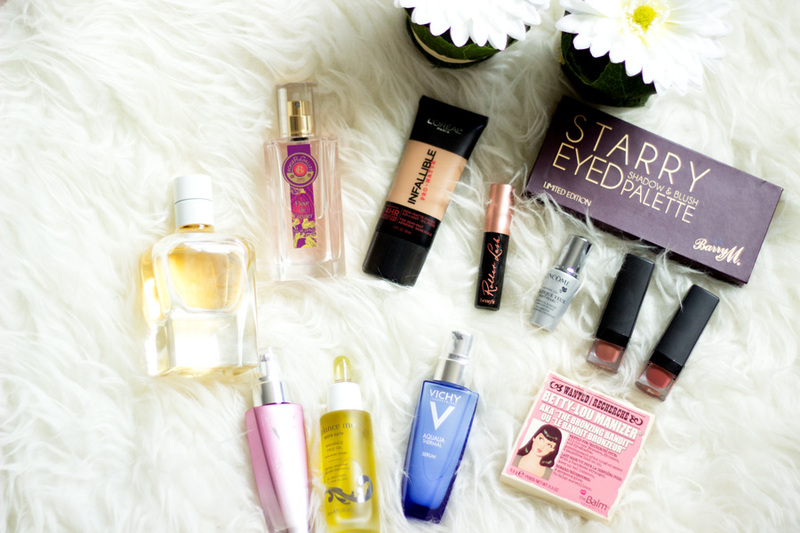 On the makeup front, I have been loving so many new products and a few old faves. 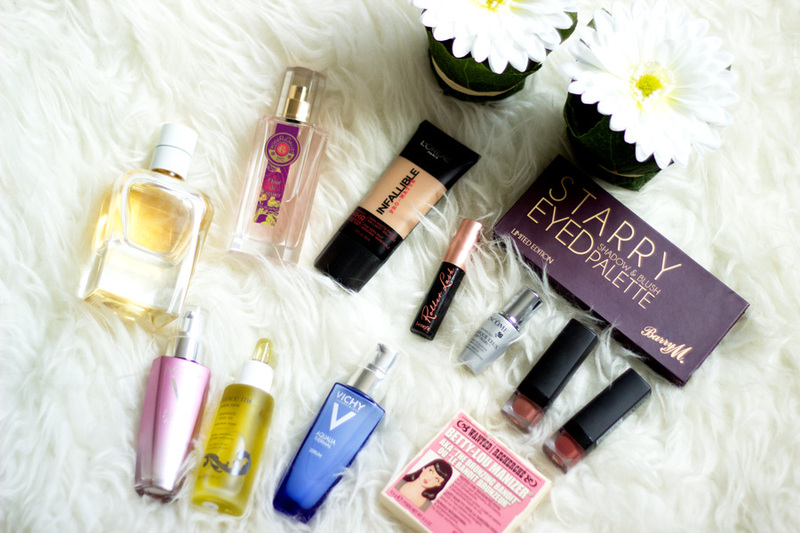 I tend to stick to makeup products that work for me but I am still tempted every now and then to try something new. 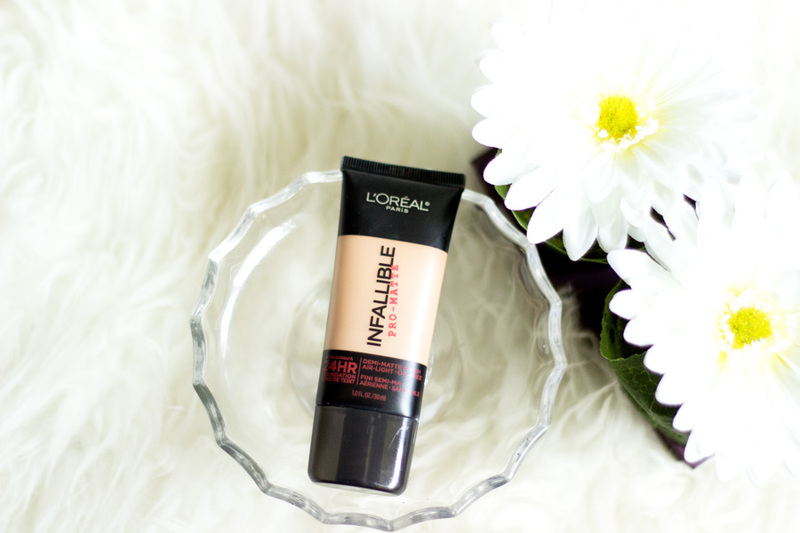 The first product I have been absolutely crazy about is the L'Oreal Infallible Pro Matte foundation (Link). I have used this consistently for 2-3 weeks in this past month because I love it so much. It is rare for me to keep using a particular foundation consistently all week because I have quite a few bottles of foundation on rotation. However, this month I just kept going back the Pro Matte foundation because I love the results I get with it. 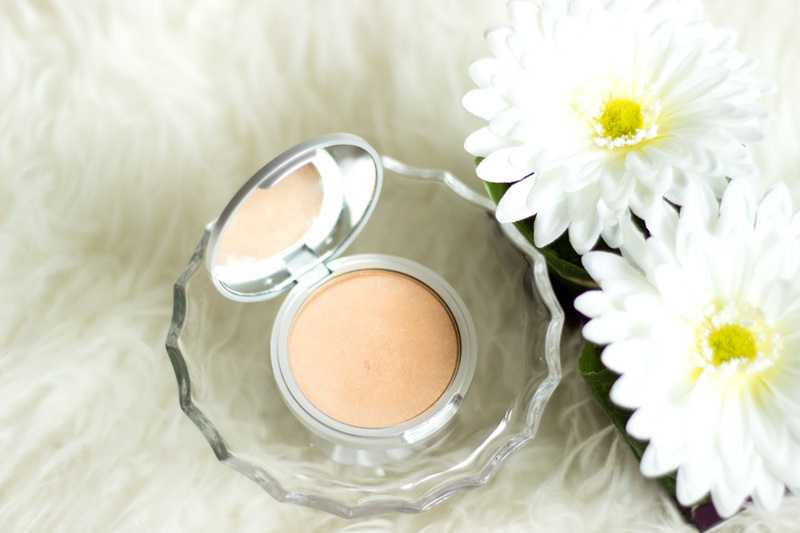 It is definitely the perfect foundation for oily skin and summer. It has a demi-matte finish (super flattering on me) and it lasts for a super long time (not 24 hours as they claim though). I need to put up its separate review soon so stay tuned for it. 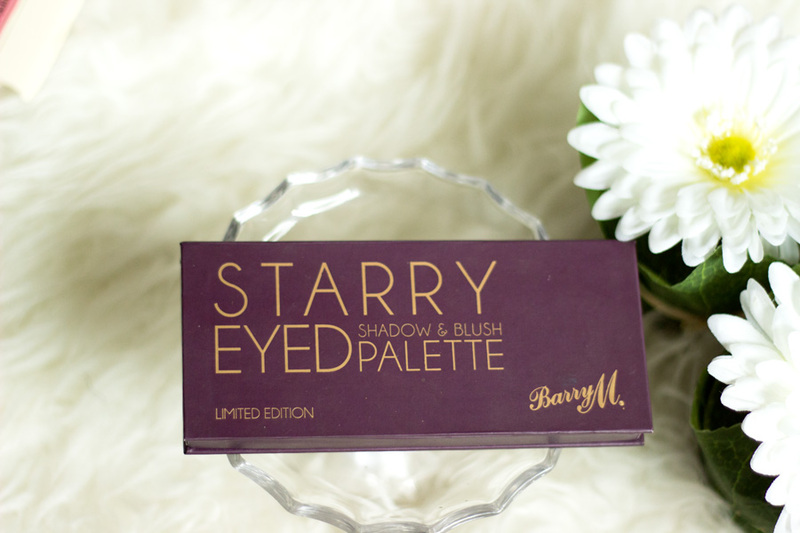 The next product I have enjoyed is one I was really surprised about- it's the Barry M Starry Eyed Eyeshadow and Blush Palette. I was really surprised at the rich pigmentation these eyeshadows offer especially on darker skin. I always just stick to Barry M nail polishes most of the time and I did not know their eyeshadows were this amazing. I use all the colours in this palette because they are right up my street. The blush is such a beautiful rose gold colour that I did not imagine would suit me but it does. It's truly amazing and I love it. The next favourite is the Benefit Roller Lash Mascara (Link//Review) which I was surprised at how much I loved it. I got the sample when it was launched in a magazine and I liked it but not enough to buy the full size. Now, I feel like I have to take that statement back because it has definitely grown on me. I really like it a lot now because it keeps my little lashes in an amazing state. 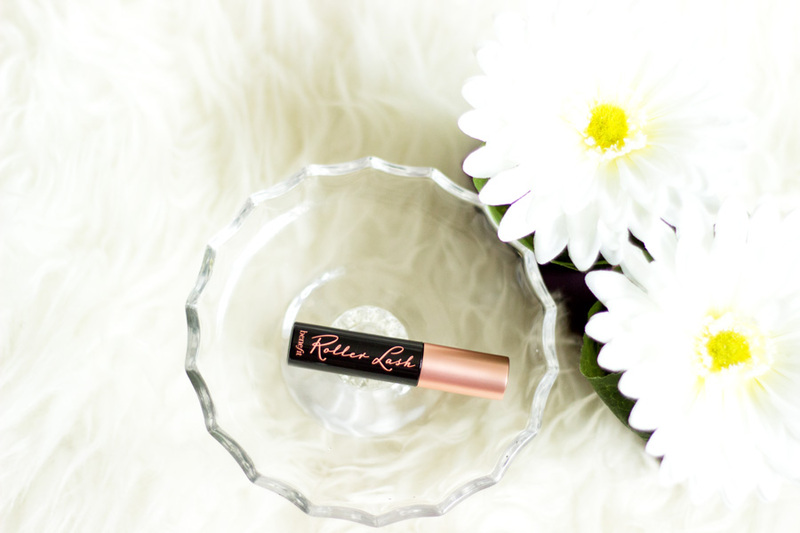 It is perfect for an everyday mascara and I have really enjoyed how it keeps my lashes lengthened and slightly volumised. My lashes are naturally curly but this mascara really enhances them more. I think I need to get a full size although I am worried it may not be the same as the mini. Fingers crossed. This month I have been going really soft on the lips mainly because I do a lot to my eye makeup. 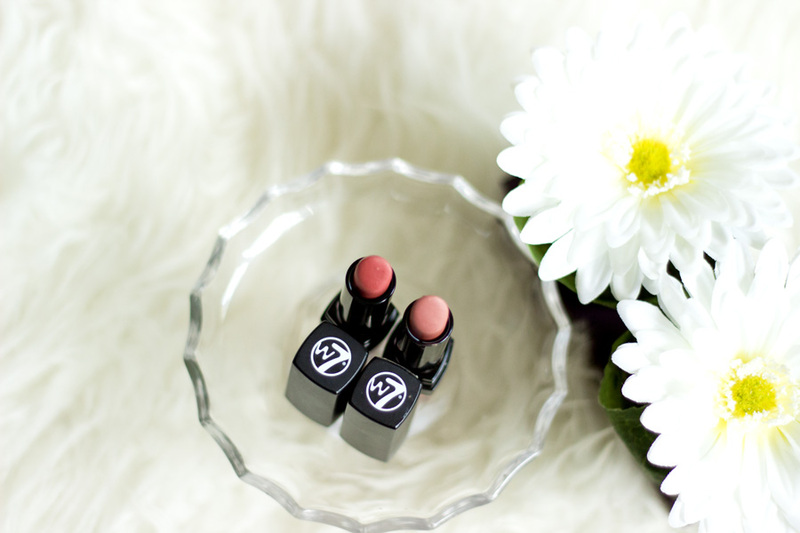 I have been opting for subtle matte lips and the W7 Matte lipsticks* (Review) have been amazing. They don't drag across my lips and their longevity is really impressive. 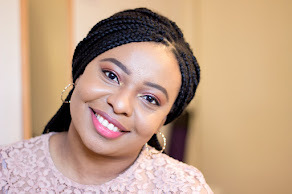 I have been using the colours- Madam Fifi* and Lady Luck* and they suit my complexion to a T. Last but not least on my July Favs list is a highlighter that has been on my wish list for too long. 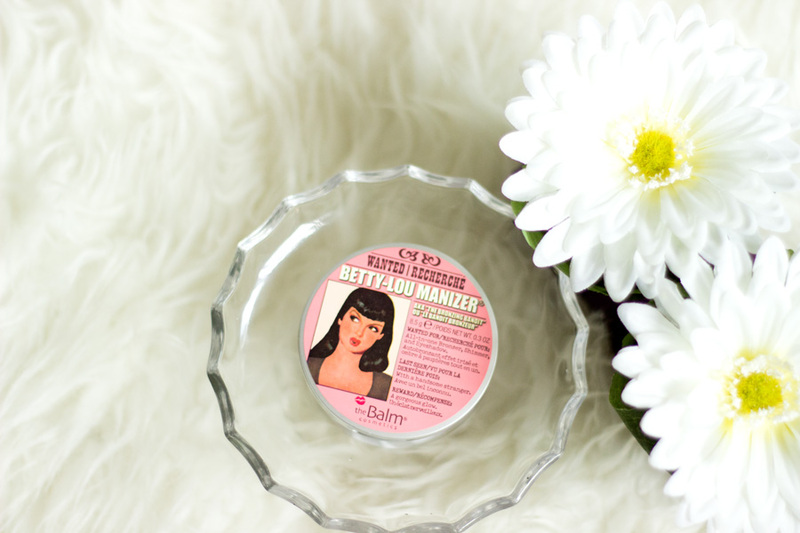 It's The Balm's Betty Lou-Manizer (Link) which I have enjoyed so much. My beautiful cousin got this for me when we were out shopping and I am obsessed with it. A separate review would be up soon so stay tuned. If you want a subtle highlighter for everyday use, you would really enjoy this highlighter because it has rose gold shade. It is super flattering on my complexion and I think it would suit many skin tones as well. Phew!! That was a lot of makeup for this month!! I have quite a collection of fragrances because I just love them. I switch up my fragrance depending on my mood most times and I rarely stick to one. However, I have stuck to two fragrances in July and they have already been featured on here. The first one is the Roger and Gallet Fleur de Figuier EDP*(Link//Review) which I was so pleased to try. It smells really sweet but not in a sickening way and then it settles to an amazing musky and woody note. The lasting power is really incredible and I am not surprised at all because it is made from choice ingredients. I really recommend having a little sniff in Marks and Spencer because it is an amazing summer scent. Another fragrance which I enjoyed this month is the Hermes Jour D'Hermes (Link//Review) which I have featured here already. It is my pick me up fragrance because it smells incredible. I purchased it at a bargain in House of Fraser when it was knocked down from £96 to £24 and I have to say it's one of my best purchase of the year so far. That's pretty much all I have been loving this month. I really liked July but I am glad it has come to an end and we are looking forward to better things. I am trying to film as much videos and write as many reviews as possible because the coming months may be a little busier than the rest. Thank you all for your support which keeps me really inspired to continue creating content for this blog and my YouTube channel. I appreciate it a lot and it does mean the whole world to me. 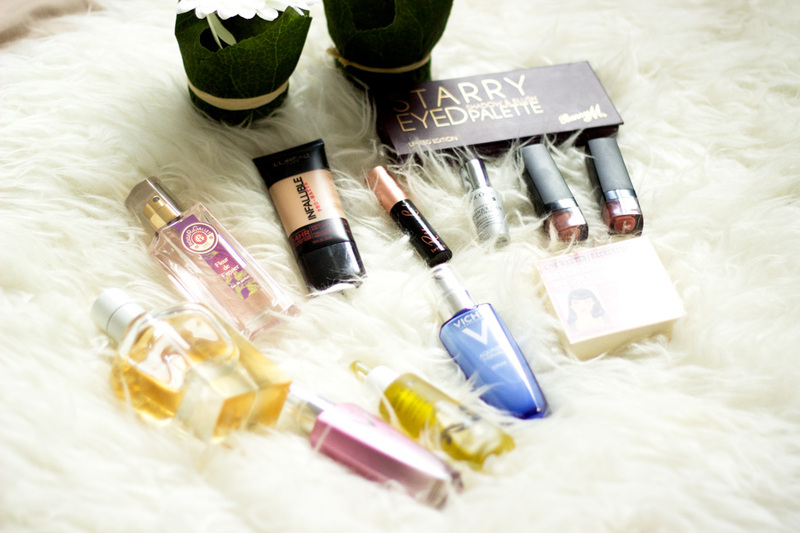 See you in my next post...What products were you loving in July?